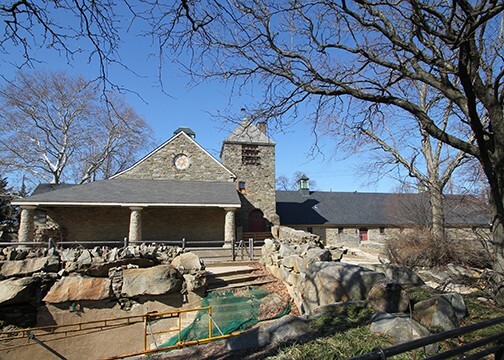 The Philadelphia Zoo is the oldest zoo in the United States, first chartered in 1859 and opened in 1874. The forty-two acre site currently has 1,300 animals, many of which are rare or endangered. 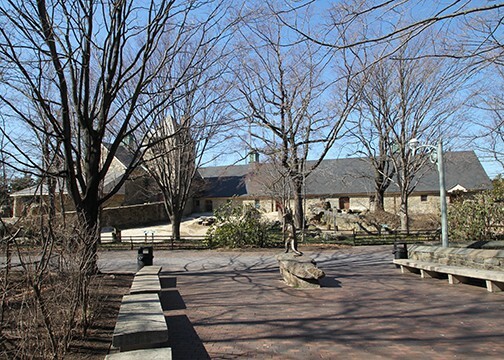 In addition to its pioneering zoological efforts, including establishing the first animal health laboratory and Children’s Zoo in the United States, the Philadelphia Zoo contains a comprehensive record of Philadelphia architecture from the late 19th to the mid 20th centuries with works by Frank Furness, George Hewitt, Hermann Joseph Schwartzmann and Robert Venturi. The Pachyderm House opened in 1941 and was designed by noted Philadelphia architect Paul Philippe Cret (1876-1945). 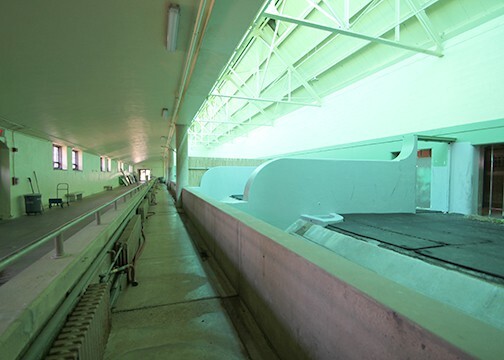 Prior to 2010, the building housed rhinoceroses, hippopotamuses and okapis. In 2010, work began to transform the Pachyderm House and its immediate environs into a Children’s Zoo and Educational Center, which involved the reconfiguring of the interior into a primarily open exhibit and teaching space. 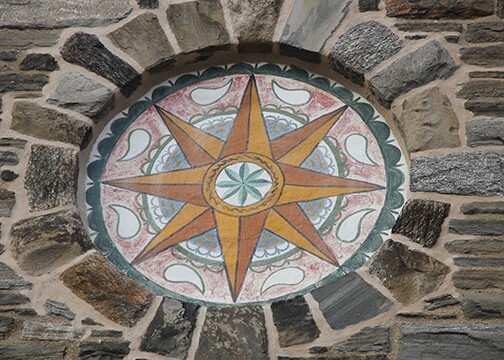 This renovation involved the development of a Section 106 application by Powers & Company, Inc, as well as a comprehensive paint analysis of all exterior elements.